The hunt for an exo-Earth: How close are we? This blog was first published as a guest post on Andrew Rushby’s excellent II-I- blog. In the 1890s Percival Lovell pointed the huge, 24-inch Alvan Clark telescope in Flagstaff, Arizona towards the planet Mars. Ever the romantic, he longed to find some sign of life on the Red Planet: To hold a mirror up to the empty sky above and find a planet that looked a little bit like home. Of course, in Lovell’s case, it was the telescope itself that gave the impression of life, imposing faint lines onto the image that he mistook for canals. But, with Mars long since relegated to the status of a dusty, hostile world, that ideal of finding such a planet still lingers. In the great loneliness of space, our species yearns to find a world like our own, maybe even a world that some other lineage of life might call home. A hundred years after Lovell’s wayward romanticism, the real search for Earth-like planets began. A team of astronomers at the University of Geneva used precise spectroscopy to discover a Jupiter-sized world around the star 55-Peg. This was followed by a series of similar worlds; all distinctly alien with huge gas giants orbiting perishingly close to their stars. However, as techniques improved and more time & money was invested on exoplanet astronomy, that initial trickle of new worlds soon turned into a flood. By 2008 more than 300 planets had been discovered including many multi-planet systems and a handful of potentially rocky planets around low-mass stars. However, the ultimate goal of finding Earth-like planets still seemed an impossible dream. 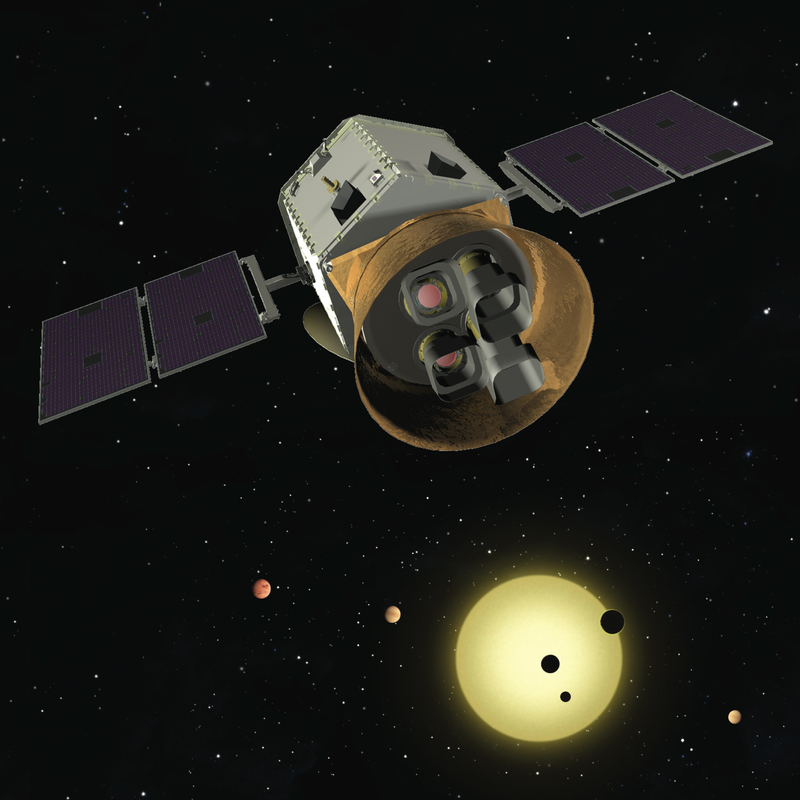 In 2009 the phenomenally sensitive Kepler mission launched. Here was a mission that might finally discover Earth-sized planets around Sun-like stars, detecting the faint dip in light as they passed between their star and us. Four years, 3500 planetary candidates and 200 confirmed planets later, the mission was universally declared a success. Its remarkable achievements include a handful of new terrestrial worlds, such as Kepler-61b and 62e, orbiting safely within their star’s habitable zones. However, despite lots of column inches and speculation, are these planets really the Earth 2.0s we were sold? Even more damning is the size of these planets. Rather than being truly Earth-like, the crop of currently known ‘Habitable planets’ are all super-Earths. In the case of Kepler’s goldilocks worlds, this means they have radii between 1.6 and 2.3 times that of Earth. That may not sound too bad, but the mass of each planet scales with the volume. That means, when compression due to gravity is taken into account, for such planets to be rocky they would need masses between 8 and 30 times that of Earth. With 10ME often used as the likely limit of terrestrial planets, can we really call such planets Earth-like. In fact, a recent study of super-Earths put the maximum theoretical radius for a rocky planet as between 1.5 and 1.8RE, with most worlds above this size likely being more like Mini-Neptunes. So it appears our crop of habitable super-Earths may not be as life-friendly as previously thought. But it is true that deep in Kepler’s 3500 candidates a true Earth-like planet may lurk. However the majority of Kepler’s candidates orbit distant, dim stars. This means the hope of confirming these worlds by other techniques, especially tiny exo-Earths, is increasingly unlikely. And with Kepler’s primary mission now ended by a technical fault, an obvious question arises: just when and how will we find a true Earth analogue? Future exoplanet missions may well be numerous, but are they cut out to discover a true Earth-like planet? The recently launched Gaia spacecraft, for example, will discover hundreds of Gas Giants orbiting Sun-like stars using the astrometry technique, but it would need to be around a hundred times more sensitive to discover Earths. New ground-based transit surveys such as NGTS are set to be an order of magnitude better than previous such surveys, but still these will only be able to find super-Earth or Neptune-sized worlds. Similarly, Kepler’s successor, the Transiting Exoplanet Survey Satellite which is due to be launched in 2017, will only be able to find short-period planets with radii more than 50% larger than Earth. HARPS, the most prolific exoplanet-hunting instrument to date, is also due for an upgrade by 2017. Its protégée is a spectrometer named ESPRESSO that will be able to measure the change in velocity of a star down to a mere 10cms-1. Even this ridiculous level of accuracy is not sufficient to detect the 8cms-1 effect Earth’s mass has on the Sun. While such worlds may well have surfaces with beautifully Earth-like temperatures, there are a number of problems with calling such worlds definitive Earth twins. For a start the majority of these potentially habitable planets (such as Kepler-62e) orbit low-mass M and late K-type stars. These are dimmer and redder than our Sun and, due to the relative distance of the habitable zone, such planets are likely to be tidally locked. The nature of such stars also makes them significantly more active, producing more atmosphere-stripping UV radiation. This means, despite appearances, ‘habitable’ planets around M-dwarfs are almost certainly less conducive to life than more sun-like stars. So despite billions spent on the next generation of planet-finders, they all fall short of finding that elusive second Earth. What, precisely, will it take to find this particular Holy Grail? There is some hope that the E-ELT (European-Extremely Large Telescope), with its 35m of collecting area and world-beating instruments will be able to detect exo-earths. Not only will its radial velocity measurements likely be sensitive enough to find such planets, it may also be able to directly image earth-analogues around the nearest stars. However, with observing time likely to be at a premium, the long-duration observations required to find and study exo-earths could prove difficult. Alternatively, large space telescopes could be the answer. JWST will be able to do innovative exoplanet research including taking direct images of long-period planets and accurate atmospheric spectra of transiting super-Earths and giants. Even more remarkably, it may manage to take spectra of habitable zone super-Earths such as GJ 581d. But direct detection of true Earth-analogues remains out of reach. An even more ambitious project may be required, such as TPF or Darwin. These were a pair of proposals that could have directly imaged nearby stars to discover Earth-like planets. However, with both projects long since shelved by their respective space agencies, the future doesn’t look so bright for Earth-hunting telescopes. After the unabashed confidence of the Kepler era, the idea that no Earth-like planet discovery is on the horizon may come as a surprisingly pessimistic conclusion. However not all hope is lost. The pace of technological advancement is quickening. Instruments such as TESS, Espresso, E-ELT and JWST are already being built. These missions may not be perfectly designed to the technical challenge of discovering truly Earth-like planets, but they will get us closer than ever before. As a civilisation we have waited hundreds of years for such a discovery; I’m sure we can hold out for a few more.